Our Cheap Web Design Happy Client Portfolio. Our web design portfolio consists of all custom made bespoke websites built to the clients exact requirements. Unlike other web design companies we don’t stop making design changes until you have a website design you are proud of. All of the websites in this portfolio are available to purchase on our bespoke web design page. We have listed next to each website the package the client purchased to give you an idea of what is available to you. 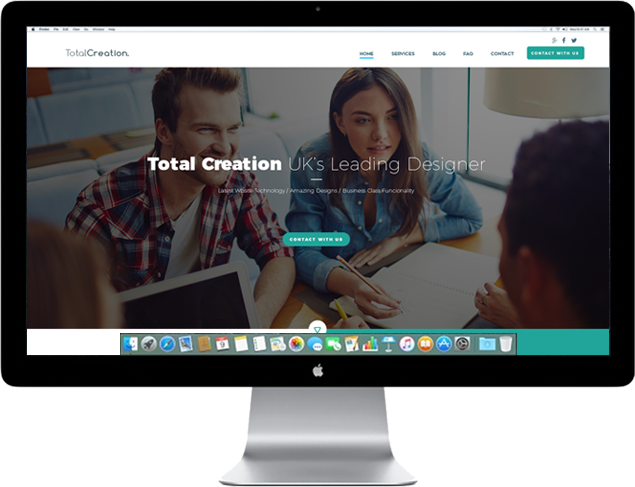 All of the prices are genuine and there are no hidden charges;Total Creation is the UK’s leading Cheap Web Design company, over 15,000 Clients cant be wrong. Please feel free to contact us if you have any questions on website design or on our Cheap SEO Services as we will be only more than happy to assist you in your query. Cheap Web Design does not mean that you have to make do with a cheap design. Total Creation will build you the most impressive website to the highest web design industry specifications. Total Creation web design packages are truly impressive and Cheap Web Design in the UK at its very best. Cheap SEO provider affordable Search Engine ranking services. You can own a website with same or better build specification via Design Option 3 - £1299. No other costs to pay including free hosting, free domain and much more, No strings & No catches. Capital Office specialise in Virtual Office Services, PO Boxes, Telephone Answering & Company Formations.You can own a website with same or better build specification via Design Option 3- £1299. No other costs to pay including free hosting, free domain and much more, No strings & No catches. The London Office Finder are a specialist office sourcer. You can own a website with same or better build specification via Design Option 2 - £899. No other costs to pay including free hosting, free domain and much more, No strings & No catches. A10 Premier Builders are a leading construction company based in Hertfordshire. You can own a website with same or better build specification via Design Option 2 - £899. No other costs to pay including free hosting, free domain and much more, No strings & No catches. Xclusive signs specailise in dedicated vehicle signage, they are based in Kent and serve surrounding areas. You can own a website with same or better build specification via Design Option 3 - £1299. No other costs to pay including free hosting, free domain and much more, No strings & No catches. Accounts direct specialise in online accounting at an affordable price. You can own a website with same or better build specification via Design Option 2 - £1299. No other costs to pay including free hosting, free domain and much more, No strings & No catches. BlueMango Bars are provide mobile bars for public events.You can own a website with same or better build specification via Design Option 2 - £899. No other costs to pay including free hosting, free domain and much more, No strings & No catches. CP Energy Grants specialise in helping clients reduce their carbon footprint. You can own a website with same or better build specification via Design Option 2 - £899. No other costs to pay including free hosting, free domain and much more, No strings & No catches. Eight Europe specialise in architectural and planning services for private and commercial clients. You can own a website with same or better build specification via Design Option 2 - £899. No other costs to pay including free hosting, free domain and much more, No strings & No catches. Pareil are a leading recruitment company specialising in both full time and temp positions. You can own a website with same or better build specification via Design Option 2 - £899. No other costs to pay including free hosting, free domain and much more, No strings & No catches. Hartley PR are public and media relation specialists with a vast amount of experience in these fields. You can own a website with same or better build specification via Design Option 2- £899. No other costs to pay including free hosting, free domain and much more, No strings & No catches. Signman is a graphic design and print specialist, they are based in South West England. You can own a website with same or better build specification via Design Option 3- £1299. No other costs to pay including free hosting, free domain and much more, No strings & No catches. Kemptown Removals provide removal services in and around the Brighton location. You can own a website with same or better build specification via Design Option 2 - £899. No other costs to pay including free hosting, free domain and much more, No strings & No catches. Pegasus removals provide private and commercial removal operations across the UK. You can own a website with same or better build specification via Design Option 2- £899. No other costs to pay including free hosting, free domain and much more, No strings & No catches..
Bridgeman Construction wanted a clean modern websites to help showcase their leading construction business. You can own a website with same or better build specification via Design Option 2- £899. No other costs to pay including free hosting, free domain and much more, No strings & No catches. SG Placement are a leading UK recrutiment agency specialising in Banking & Accounting.You can own a website with same or better build specification via Design Option 2 - £899.No other costs to pay including free hosting, free domain and much more, No strings & No catches. Innercity Inventories are trained inventory clerks and use the latest technology to record your inventory. You can own a website with same or better build specification via Design Option 2- £899. No other costs to pay including free hosting, free domain and much more, No strings & No catches. PFS Floors offer high quality flooring to residential and commercial clients.You can own a website with same or better build specification via Design Option 2- £899. No other costs to pay including free hosting, free domain and much more, No strings & No catches. The Instructor College are a leading Driving Instructor College, offering fantastic courses, based in the UK. You can own a website with same or better build specification via Design Option 2- £899. No other costs to pay including free hosting, free domain and much more, No strings & No catches.